If spring cleaning includes cleaning out your pantry, you may have perfectly good food to give away. 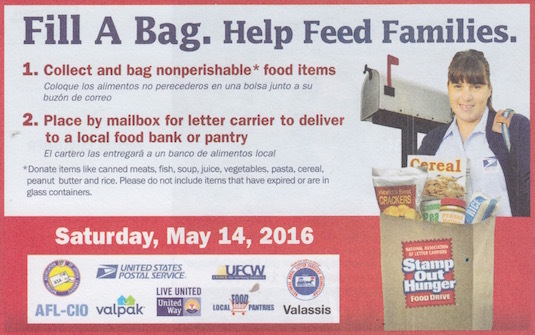 For most U.S. postal customers, that’s especially easy to do during the Stamp Out Hunger drive on Saturday — just leave grocery bags of food near your mailbox or mail slot before your letter carrier arrives. Donations go directly to local food charities.